1 in. wide neck strap and waist buckles, provides limitless individual adjustment. Expansive pocket design features side positioning for minimal interference and easy tool access. Pockets also feature wide flap with hook-and-loop closure for safekeeping. 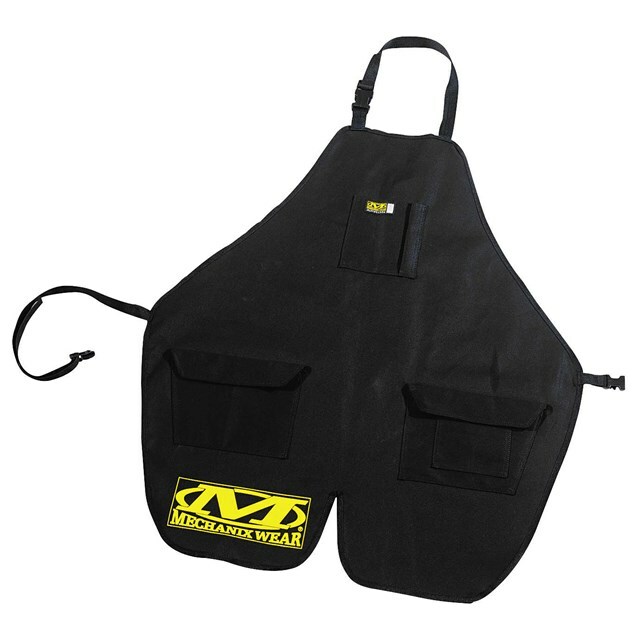 Upper chest pocket provides additional storage for small instruments or parts. Anatomically cut front vent for ease of mobility.